Brasserie is a gorgeously set up French restaurant, in an oval shape with modern decor and a an elegant, classy feel. I was seated promptly and a baguette was placed on the table with Echire, butter from France. The bread was quite hard and didn’t have much flavor. For the appetizer, I had the brandade de homard, which is a lobster mash and salt cod mixed into a purée with olive oil and milk. 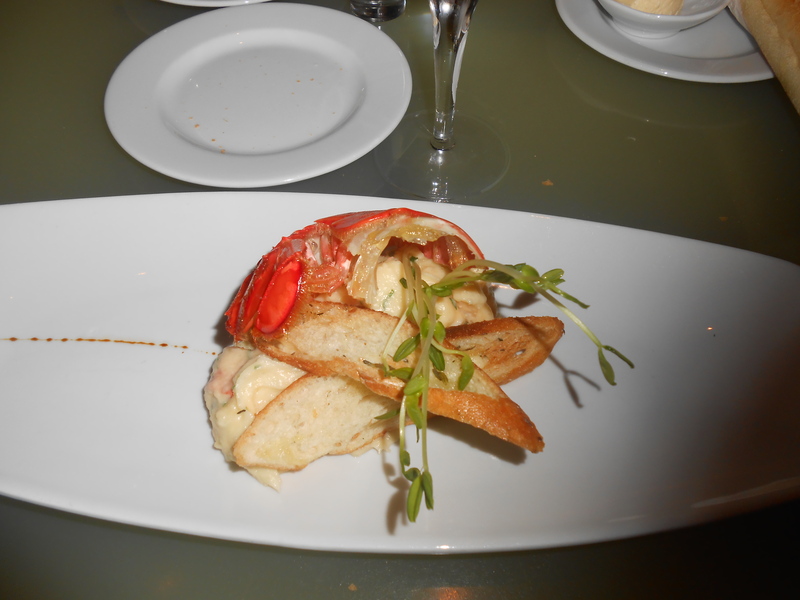 The dish came with half of the empty lobster shell as decoration. It was delicious- Just the right amount of saltiness and strong flavor of lobster. The dish also came with roasted garlic baguette, which was a tasty touch. 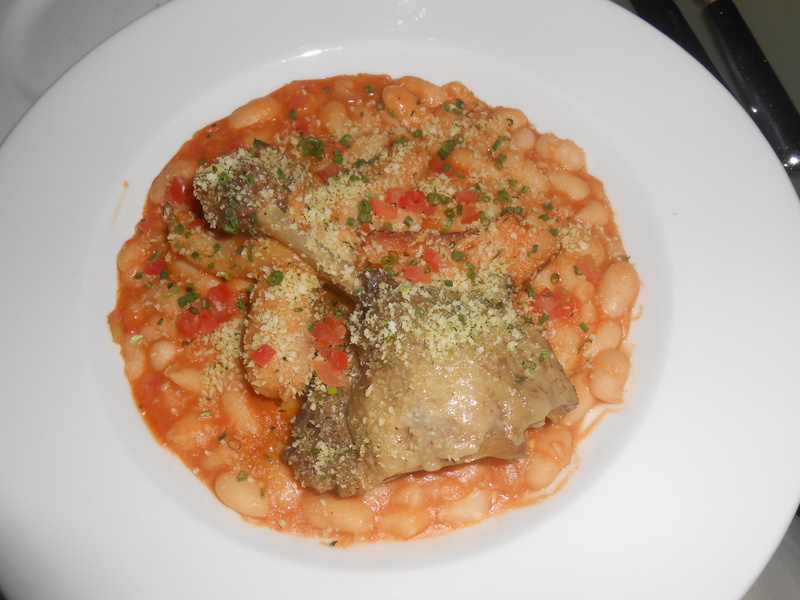 As for the entree, I chose Cassoulet Toulousain, which is a classic French dish of rich, slow-cooked casserole. This came in a soup of navy beans, with duck confit, braised pork belly and garlic sausage on top. Normally I don’t really enjoy beans, but the beans in the cassoulet were decent- There was a sweet orange colored sauce with the beans so that helped. The duck confit was tender and wonderful. The pork belly was crispy and reminiscent of bacon. And the garlic sausage was cooked to perfection! The dessert was Financier aux Figues, which consisted of almond cake, black mission figs and honeyed yogurt “faisselle.” I truly enjoyed the almond cake- It had a chewy consistency and a delicate, sweet taste. 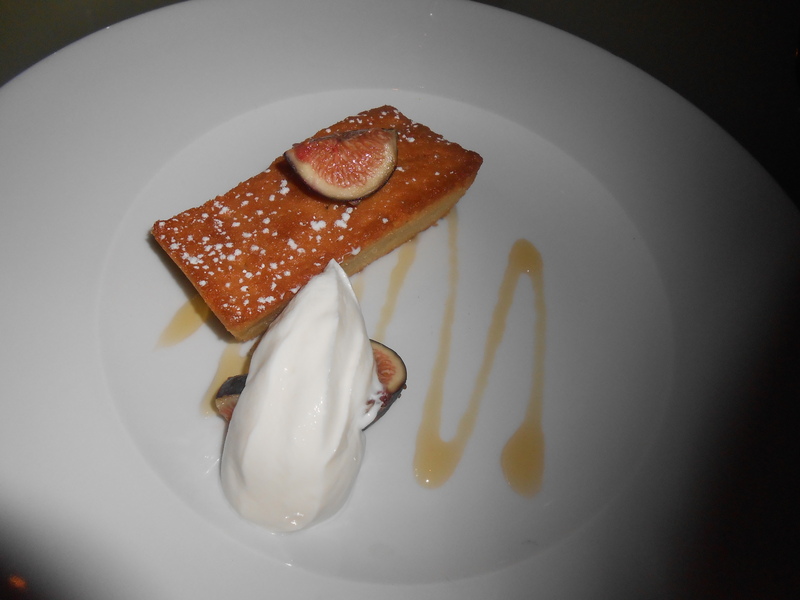 Both the figs and yogurt were slightly bland, but worked well with the richly sweet almond cake. 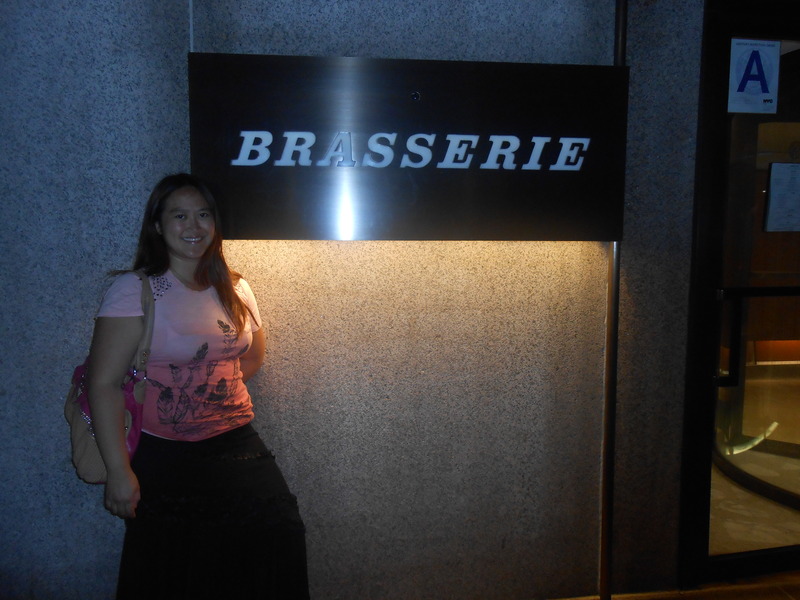 I thoroughly enjoyed the experience and deliciousness of dining at Brasserie.